Following a strong showing last weekend in China where he finished fourth in the inaugural FRD LMP3 Championship event, Alex Tagliani is back in Canada this week to compete in Round 4 of 12 of the NASCAR Pinty's Series, which will be held Saturday at Circuit ICAR road course in Mirabel, Quebec. Drivers competing in the seventh annual ICAR race will discover a new seven-turn, 1.1-km layout. In addition, the race will be held at night, a first for NASCAR Canada on a road course. Tagliani will make his fifth start at Mirabel where he collected two pole positions with the #18 EpiPen-Lowe's-St Hubert-Premium Spectra racecar. The Lachenaie, Quebec driver talked about his past performances on the 3.6 km long road course built on the grounds of Mirabel International Airport, which closed to passenger flights in 2004. "I earned the inaugural ICAR pole in 2011 and repeated in 2015. I also collected a pair of top-five finishes on the Mirabel long track, which is far from what the team can achieve. We were never quick enough at ICAR because of the concrete surface. We always had a hard time finding the right grip on this type of pavement. This year, the team has worked hard on resolving the problem and we hope to be more competitive on the short course," said the Dodge EpiPen-Lowe's-St Hubert driver who prefers longer and faster road courses. "Maybe it's not ideal for me to run on a short road course, but since the field is reduced to only 16 entries so far this weekend, it could turn out to be a good thing. On the other hand, we will have to save our brakes and be very careful in what we believe will be a race with numerous restarts due to an increased risk of incidents and which could be quite costly in body parts. On the positive side, spectators will be able to see all the on-track action. They will get their money's worth. It will also be interesting to run at night." A field of 16 drivers are registered to compete in Saturday's Ecko Unlimited 75 presented by Continental. Race time for the 75-lap (51.26-mile/82.5-km) is scheduled for 7 p.m. The one-hour practice session will start at 11:15 a.m. Qualifying will be held at 3:30 p.m. In 48 NASCAR Pinty's Series starts, Tagliani has five wins, seven poles, 18 top-five and 30 top-ten finishes. Alex Tagliani visited the RONA store located in Saint-Jerome to meet with race fans, customers and store employees. 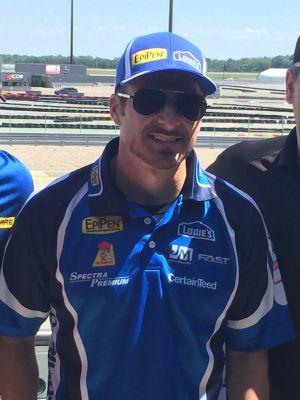 Tagliani was on hand for a promotional visit with the #18 EpiPen-Lowe's-St Hubert-Premium Spectra racecar, Tagliani Autosport transporter and crew. Fans were invited to enter pit stop competitions and join Alex for autograph sessions and photo ops. Fans and media are invited to attend these local pre-race activities and meet with Alex Tagliani who will answer questions, pose for photographs and sign autographs. 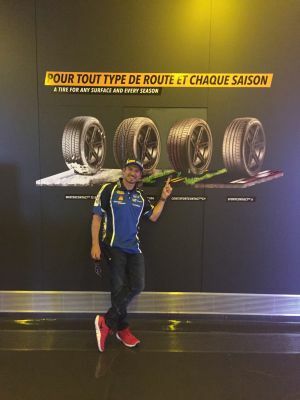 These promotional events will take place every race week from May to September at a Lowe's Canada store, RONA, or Réno-Dépôt in cities where the NASCAR Pinty's Series competes. During these events, Lowe's Canada joins with EpiPen to promote emergency treatment of anaphylactic reactions which can happen when some people are exposed to a usually harmless substance called an allergy trigger. EpiPen, another major sponsor of Alex Tagliani, manufactures EpiPen® Auto-Injectors for the emergency treatment of anaphylactic reactions.